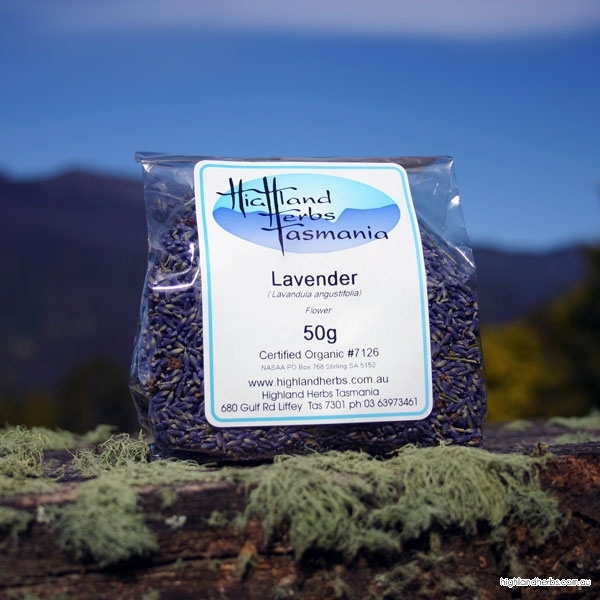 Lavender is a nervine herb traditionally used to help with anxiety and depression. Topically the oil has traditionally used to treat burns. Plant description: Lavender a native of mountainous regions of the Western Mediterranean countries. 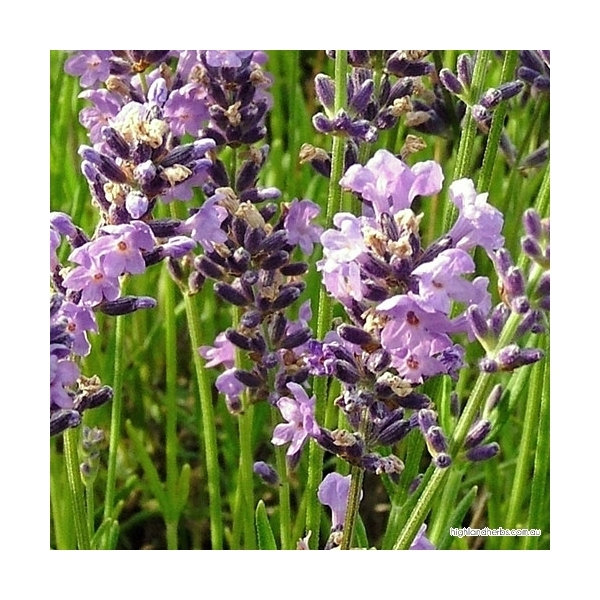 This English Lavender is a woody perennial growing to about 80cm. The leaves are opposite, narrow lanceolate or oblong linear, grey to green covered in fine hairs. Flowers are purple, but can be white, grey blue, pink or dark purple, tubular in loose spikes. 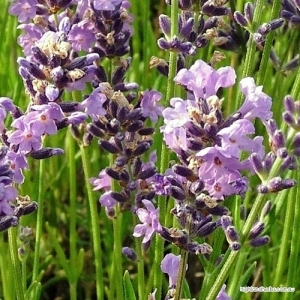 The English lavender can be distinguished from other Lavenders by its long narrow, smooth edged leaves. Other species have leaves which are toothed or frilled or shorter. Harvest: The flower should be harvested when the plant is in its early flowering stage. Active Constituents: Essential oil (mainly linalyl acetate, linalool, cineole, camphor and limonene). Actions: Carminative, anxiolytic, antidepressant, spamolytic, antirheumatic, nervine, rubefacient. Uses: Lavender has tradiationally been used for flatulent dyspepsia, colic, anxiety, mild depression and insomnia. The oil is used topically for tension headaches and arthritic pain. Dosage: Infusion – pour one cup of boiling water onto one teaspoon of dried herb and leave to infuse for five minutes. Drink up to one cup three times daily. Fluid Extract (1:2) – 15—30 ml/week. Cautions: Avoid in known allergy.